Maryland Congressman John Delaney announced he was running for president about a year ago and after he visits Carroll this weekend, he will have make a campaign stop in each Iowa county. 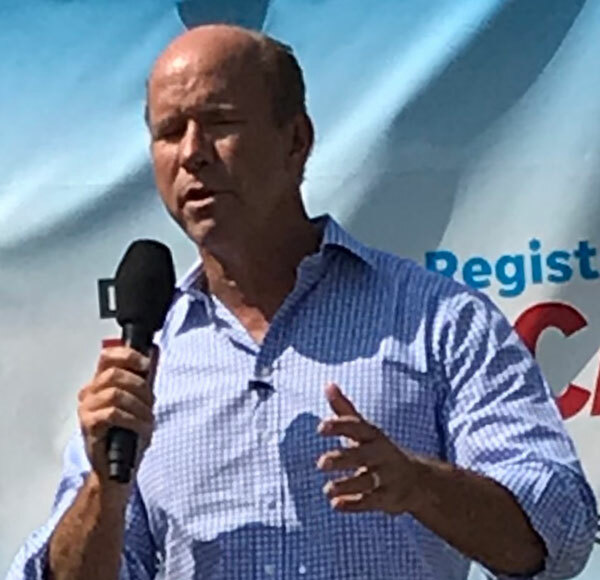 Delaney argues “hyper-partisan politics” has damaged the basic functions of government and voters want action, not more talking and more fighting. Delaney supports universal preschool, universal health care and he said it’s time to significantly increase spending on basic infrastructure and provide incentives for private capitol investment in economically depressed areas. According to Delaney, 80 percent of the investments in start-ups last year went to businesses in just 50 U.S. counties. 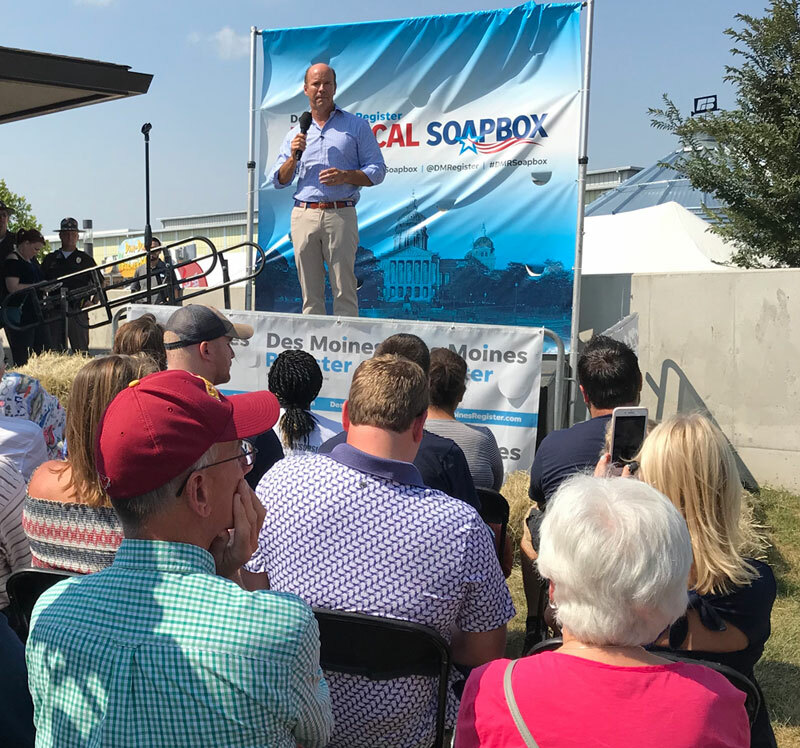 Delaney spoke late this morning at The Des Moines Registers’ Soapbox at the Iowa State Fair. Near the end of his speech, John Boehner, the former speaker of the U.S. House of Representatives, walked up to the outdoor venue. Boehner visited his friend Tom Latham (LAY-thum), the former Iowa congressman, last night and Boehner said he’s on his way to Omaha later today to help a Republican congressman there raise money. Boehner told reporters his fellow Republicans “have their hands full” when it comes to keeping GOP control of the U.S. House and Boehner voiced concern about President Trump’s approach to international trade. Boehner said he doesn’t have a vote and will let Republican House members decide among themselves who should be their future leader. Current House Speaker Paul Ryan, who took over from Boehner, is not seeking reelection this fall.